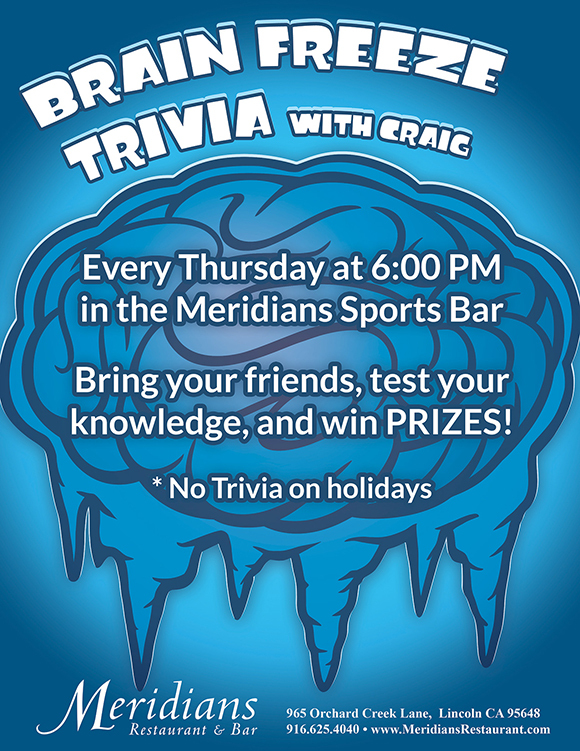 Trivia for the month of May will be held TWICE on Thursdays due to popular demand. Choose to go to the first round or the second round. Seats are first come first serve. Meridians will be extending Happy Hour until 8:00 PM on Thursdays in May so that everyone gets to take advantage no matter what time you choose to go! Click here to for more details and to view the May Trivia flyer.